Apps that can detect a person’s facial expression and emotional response may soon become helpful to identify signs of autism spectrum disorder among children. Scientists are reportedly working on these lines at a North Carolina university. The prototype of the app has already been developed and it’s in the first phase of testing. The app uses complex mathematical algorithms for automatically detecting a child’s expressions and emotional cues by analyzing the muscle movements of the face. People interested to participate in a six-month research can contact the developer team and download the app on their iPads and tablets. Children joining the study will be given a short video which has been designed to trigger emotional responses and/or social interactions. 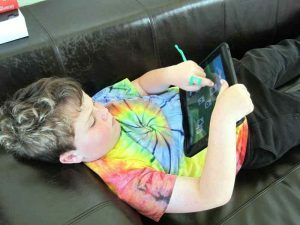 The app, using the front camera of the iPad or tablet, will then measure the child’s reaction to the videos being played via machine learning and analysis. Study of emotions is a key component of the app. It works by following some facial landmarks. These can be automatically detected by the algorithm in the app, after classifying the position of the head and the emotional response triggered. The app, as of now, is suitable for children up to six years of age. Its components, however, differ depending upon the actual age of the child. Autism spectrum disorder usually appears during infancy or early childhood. It’s characterized by some general symptoms like failure to make eye contact, not respond when his/her name is called out, play with toys in an unusual or repetitive way, or face difficulty when moving around, even within a designated area. Next Article » An Autism Detection App on the Cards?